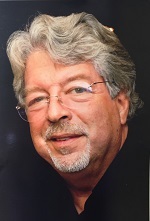 Richard Lustig, 73, of Birmingham, Michigan, died on 17 October 2016. The Funeral will be held at IRA KAUFMAN CHAPEL on Wednesday, 19 October 2016 at 2:30 PM . Cherished father of Dov (Allison) Lustig and Marni Lustig; devoted son of the late Herbert and the late Marian Lustig; proud brother of Nancy (Howard) Shapiro and Ronald (the late Cynthia) Lustig; also survived by his former wife and mother of his children, Bernice Lustig; loving stepfather of Katie Rose (Michael) Pawlowski, Kristy Shaheen, and Lesley (Doron) Eisenberg. 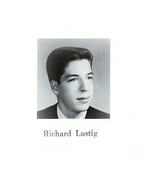 Richard Lustig has formed part of my childhood/adolescent memories ever since I can remember. He was an integral member of the Bagley gang. So very sad to hear that Richard has passed aaway. He was someone that I will always remember. What a great guy. Kept us all laughing with his antics on the senior trip to Washington. I can still picture it.